With spring, Santiago de Compostela leaves the rainy winter and shows its most brilliant face. 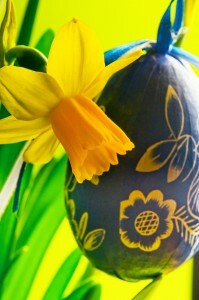 This early Easter is an ideal time to visit our town. Pilgrims begin to arrive and bar and restaurants are already open. The main advantage of this season is that is less crowed than summer months and moreover the drums resound around the streets. In addition, if you want a break, Santiago has a great chocolate tradition and this year there is a special program: “Santiago Paixón Doce 2016”, where you can taste different sweets proposals like chocolat shells, donuts, hot chocolate , monastic delights and, of course, the famous and delicious Santiago’s cake. Do not hesitate, in Easter, choose Compostela!